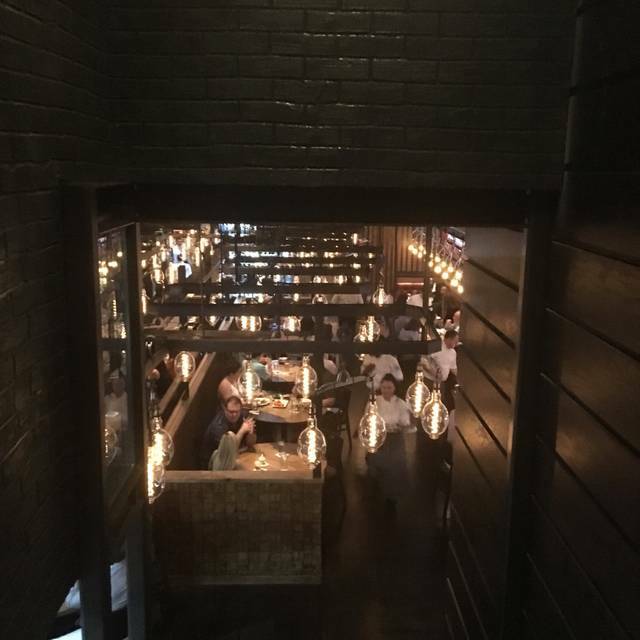 You must make reservations at least 5 minutes in advance of the time at Little Alley Steak - Buckhead. A top-notch charcuterie. A full decanting service with an impressive wine list. A bourbon collection you wouldn’t believe. 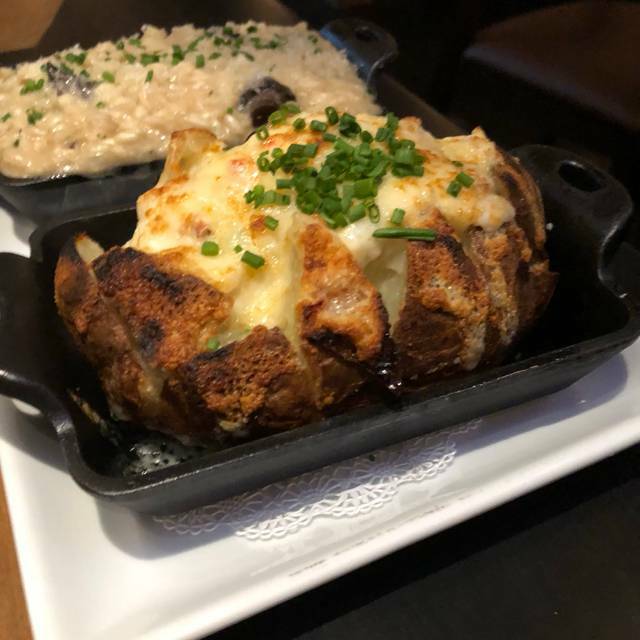 The newest edition to Buckhead, Little Alley Steak, rivals the greatest of steakhouses including Peter Luger’s in New York or Bern’s in Tampa. Creators of top OTP hotspots, Hicham Azhari and Fikret Kovac are digging into the past to create a relaxed, late 1800′s-inspired space. Easter dinner date with my husband. Great place, great vibes, Donald our waiter was awesome! We will be back because of him! Our server was great! She made great recommendations! The steak was amazing. The side dishes were amazing as well. We got the cream of corn and lobster Mac and cheese. Would definitely come back. It was wonderful! Great food and wonderful service! Highly recommend! Little Alley Steak offers by far the BEST steak in Atlanta. And if the steak is not enough, they offer a wide array of seafood. The service was wonderful......when you make your reservation, ask for Donald. He was an incredible server. This is the perfect restaurant to celebrate any special occasion or just to treat yourself to one incredible meal. My advise.....GO!!!! 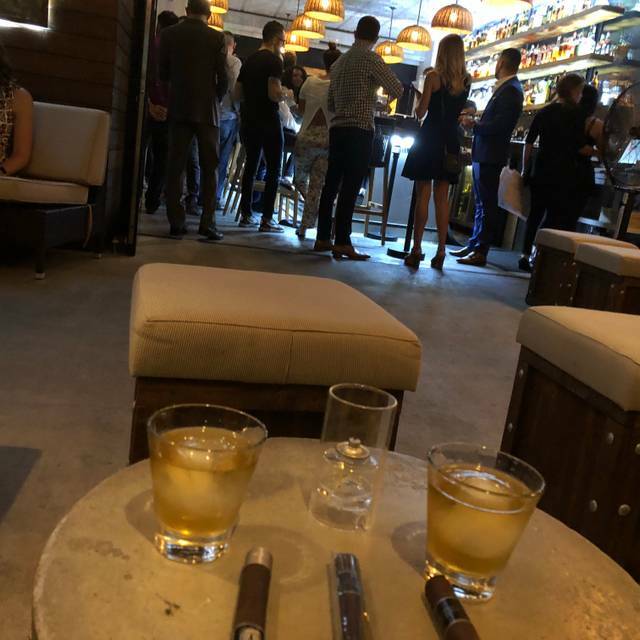 I have came to little alley multiple times but this past time I brought my girlfriend from out of town and the service and ambiance was great but food was no good this time around. The appetizer I love to get every time I come bread was hard as a rock had to remake then the Brussels sprouts were burnt so I just didn’t even want them remade. Very disappointing. But as I love the service and ambiance I will come back as that is always great! Trying something new. Steaks were presented as wet aged, dry aged, and prime. I asked why not a dry aged prime and was basically told I couldn’t afford it. Waiter needs better training. I ordered the lobster starter which was served on a lettuce leaf as an afterthought with my wife’s oysters. Sous vide tender but awkward. 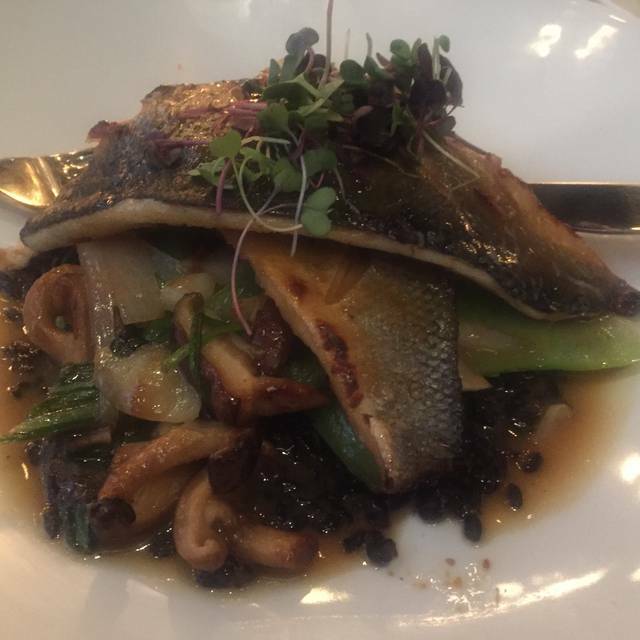 I then had sea bass of a basic Naples FL quality in miso. 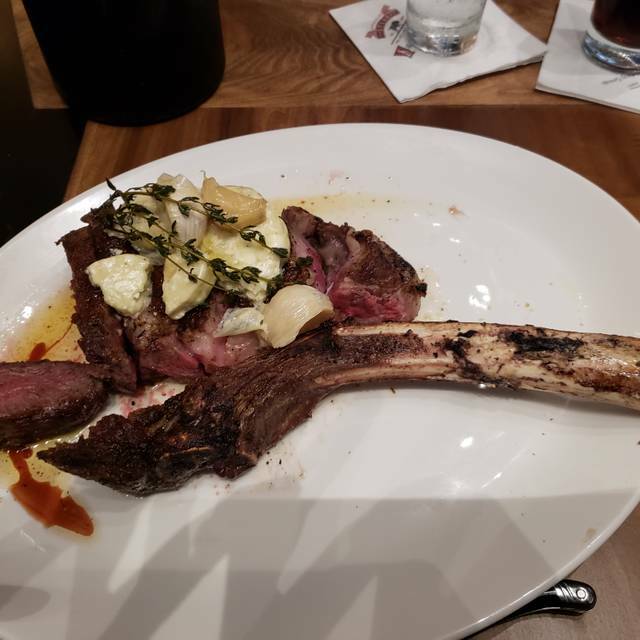 My wife had a trio of NY strips but prime was the best between dry aged and wet aged so why not offer dry aged prime and let the diner decide what to buy? Desserts were weak. No reason to come back vs Bones. Great place and great food. Probably the most expensive Steak house ever, $70 for Ribeye on a stick. Nonetheless, best steak I've had in a long time. Nice atmosphere. We had a lovely time and it was our anniversary, so not a bad place to hang out for a special occasion. Great restaurant with great food, the steaks are excellent, a wonderful wine list and very attentive service. Only downside was the rather noisy atmosphere. My Husband said it was too loud. The food was just ok for the price it's other places you can go for a better experience. We said that we don't have to go back. Our dinner was amazing - our server was spectacular and the food was even better. Can't wait to go back to Atlanta to return to Little Alley Steak. Great place for a business dinner of family outing! Food was great, service excellent and cost reasonable. Easy and convenient location and no wait to get seated with reservation. I highly recommend them for any occasion. We celebrated my girlfriends birthday here. We had a large group. The service was spectacular and the food was amazing. highly recommend this restaurant if you like steak! Was offered an off the menu steak after commenting about possibly having a porterhouse there before. Was shocked to be charged $150 for a steak without being told a price. We enjoyed an amazing dinner and such a fun evening for my husband’s birthday! Exceptional! Top notch!!! Best steak we have in Atlanta !!!! Service and food was fantastic, they hive music bring atmosphere unbelievable good.. next time we will seat outside at a bar looks very nice.. The food was amazing and the service was impeccable!!! My experience was fantastic. I would recommend all steak lovers to visit. Went out to celebrate my sweethearts 50th bday... I was so looking forward to a spectacular meal. We ordered two appetizers.. Oyster Rockefeller which was delicious and Mussels which was good also however the sauce was a tad salty. We waited almost an hour for our entree due to the time our waiter bought us out complimentary meet balls which was ok not the best. I received a warm plate for my dry aged ny strip the plate dirty, they quickly bought me another one. We also had the wet aged porterhouse, sautéed spinach a bit on the salty side and lobster Mac n Cheese it was ok. I was so looking forward to an Amazing meal especially for the price we paid. We ended up bringing home leftovers and when I got home the containers had huge crack holes on the bottom and yes it leaked in my car. Our waiter was Awesome, Patrick was a true delight. This was our first time at this restaurant, and we kicked ourselves for waiting so long to try it. It was one of the best overall experiences we have had in a long time anywhere. Our server( I think his name was Brian)!, was fabulous and checked he checked on us frequently had the food delivered in a timely fashion and was knowledgeable about wine selection. We ate inside and had a quiet corner table and noticed there were a couple of office groups there for dinner and then other couples and small groups like ourselves. They had live music in the bar with some tables, and then outside there was a great patio with an inside bar attached to it. ?if it was a nicer evening we would have had our cocktails out there, it will be fabulous when spring finally arrives in Atlanta. The wine list was incredibly extensive especially the wines by the glass, the best we’ve ever seen. 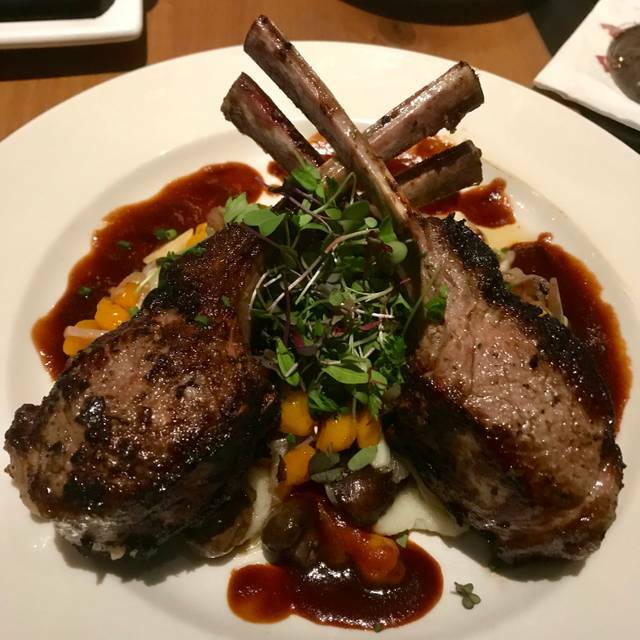 The food was delicious, my husband had one of the steaks and I had the shrimp dish and both were large portions and very tasty. 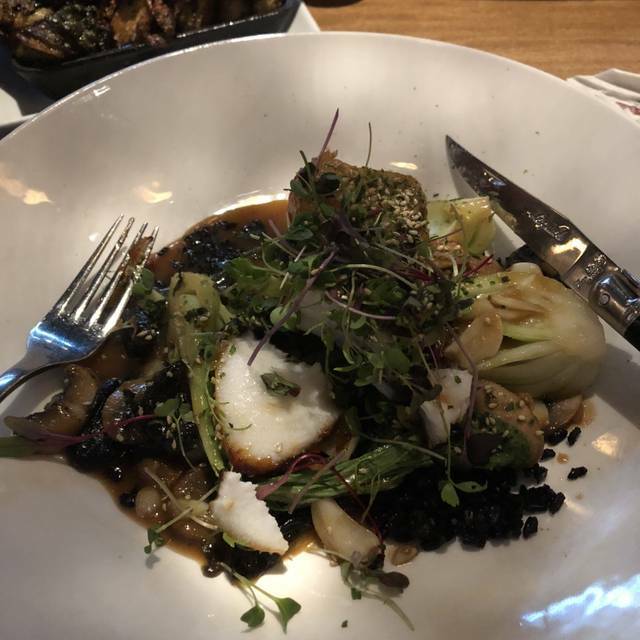 The menu had a little bit of everything on it and enough to please someone who might have different dietary needs. The ambiance was contemporary but warm and very creative , a totally different take from when Emerils was in that space. We will definitely return! The restaurant itself is beautiful and service was great but the food was just not that great. We have been twice now thinking that the first time was just because it was extremely busy superbowl weekend. But this time the food was still served like warm and just not outstanding. 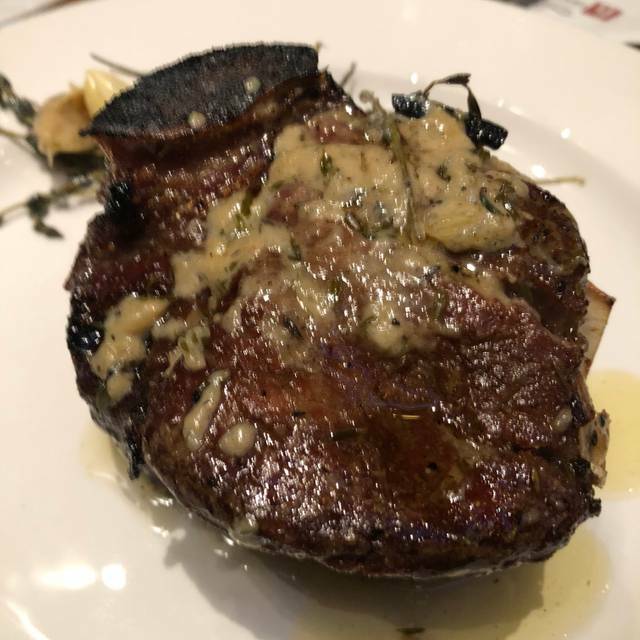 When paying 120$ for one steak I would expect the food to be delicious and served hot! The location in Roswell is absolutely delicious so I was expecting to be on par with their other location but I was sadly disappointed. The creamed corn was truly the best dish we tried. Oh and the bread was awful not really even a dinner bread. I always look forward to a good bread before my dinner in anticipation of what's to come. My drink had soda in it was flat that had to be sent back. My daughters soda was flat. We had to wait 1.5 hours for food . No one in the large dining room had food and I complained to the manager. He brought the food out right away. Comped our dessert. Way too long of a wait for food. The waiter was amazing. The food fantastic, and the new location was eye catching. Always enjoy our experience with Little Alley no matter the location. The ambiance as well as the food was incredible. Progression of the NY strip ( wet, prime, dry) best steak in town. Started with a Duck Confit...delicious. I made a reservation and let them know it was my husband's birthday. No one said happy birthday. Our server barely paid attention to us at all. When I am spending around $200 for dinner, I expect to be served and taken care of. He seemed troubled when I asked for more bread for our cheese plate, threw our steak down and said "I'll be back later" He didn't came back until when we were almost done eating to see if it was okay. Whenever I have gone to a steakhouse before, the server stays until you cut into your steak and makes sure it is cut the way you like it. Just some of the worst service I have ever received. So disappointed. I won't be back. Also, that evening, my husband and I both got sick for about 24 hours. So Delicious!!! One of the best meals I’ve had in Atlanta. Great service too. We were late so the hostess was sort of a B, but once the server came and realized we were spending a lot of $ on a business dinner he was cool. Would definitely recommend and will be back! Excellent. I will continue to patronize both locations. This was our 2nd time at your restaurant. The 1st time was stellar. Henry, our server, was awesome. This 2nd time, I must say, I was a bit disappointed at the service. Even though we were there early (6pm reservation), it took forever to get our entrees. 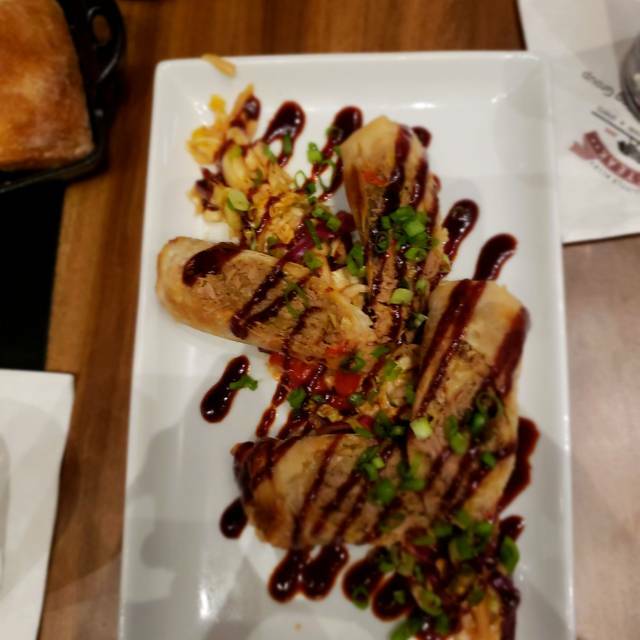 Good thing the appetizer was the seafood combo. Otherwise, we would have starved. Unfortunately, my guest is a Delta Air Lines executive retiring and his wife, who have never been to your restaurant. The fact that we saw little of our servers was commented on, and on a ~$700 check, that was disappointing. I hear Henry is only there on Saturdays; I love your restaurant, but I am not inviting anyone else unless we are doing a Saturday reservation. Thought you would want the feedback. Feel free to call if you want to follow up: 678.993.4584 (MT). We had a leisurely dinner, which is not common these days. We appreciated the unhurried pace, especially for it being a Saturday night. Our waiter was very knowledgable. We ordered the steak progression, a burger and fries, and two additional sides. We barely ate half of the meal, but over the live music, our waiter did not know we wanted to box up our leftovers. The waiter and manager were so kind to remake a steak progression and both sides for us. We really appreciated that they went above and beyond to correct a mistake and we love that kind of service. We also had a complimentary (Delicious!) dessert to celebrate our anniversary. Will definitely be back! As usual, little Alley lives up to its reputation. To me, by far the best steak house in Atlanta. It took guts to open this place a stone throw from several established steak houses. It hasn’t disappointed us yet, we will be back soon. Very good food and service. Would go again.